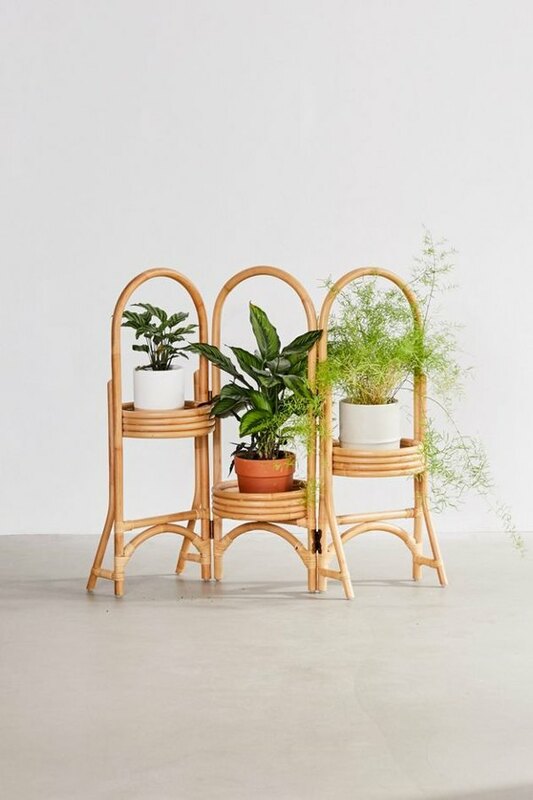 If you've dutifully fulfilled stage one of becoming a plant person (acquiring loads of plants) then you can move on to stage two: acquiring interesting planters and stands to increase their beauty. 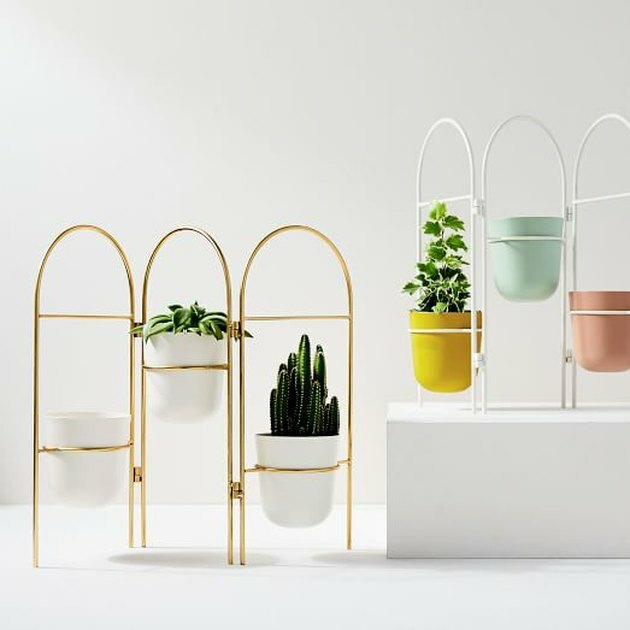 A plant stand shouldn't feel like an afterthought, and we know — groan — a really nice one (especially heavy ceramic pots) can cost a buttload. 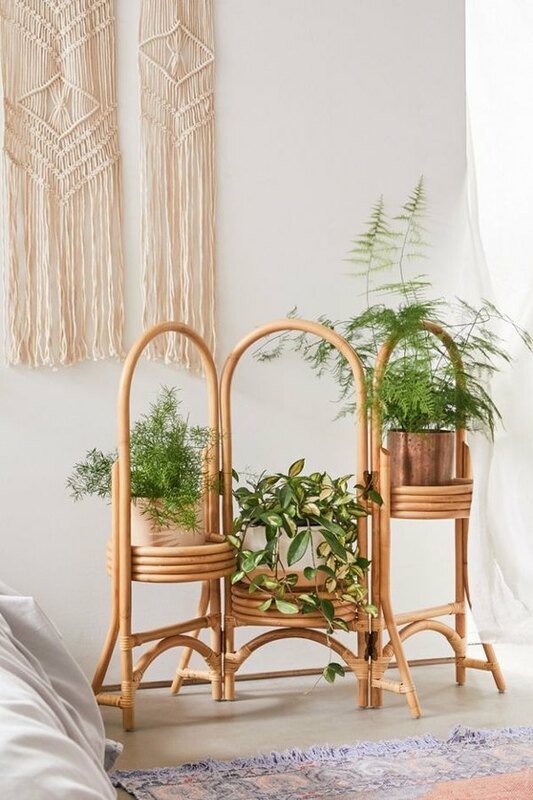 Take a look at these plant stands we've picked — they all offer something unique, and they're not too, too pricey (except for a couple). 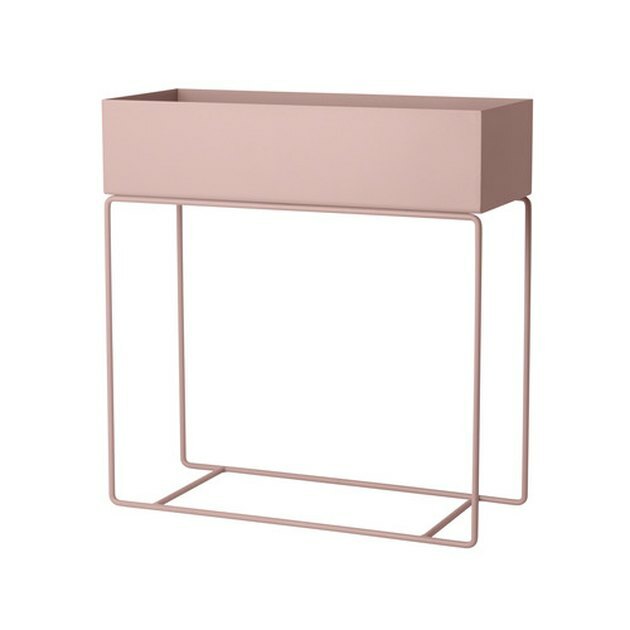 Available in a range of cool colors, this metal plant box comes from one of our preferred Danish brands. 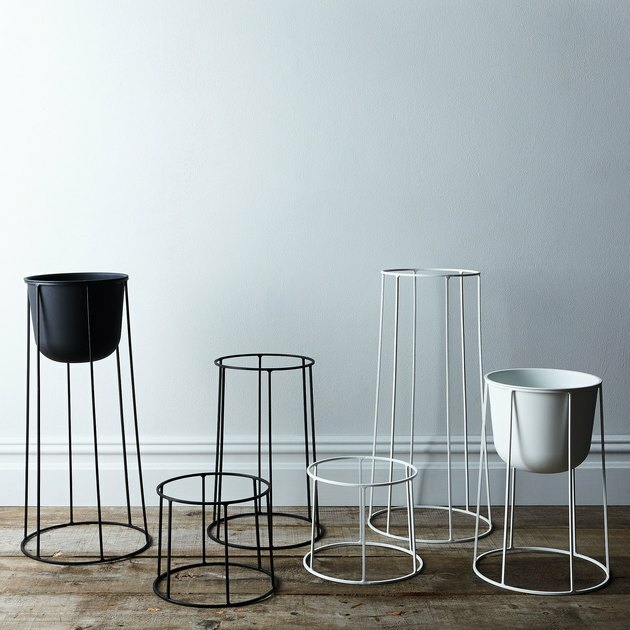 We love how this tiered planter combines opposites — straight lines with curved edges and pots. You already know how we feel about cane. We love that this is a way to try out the trend without fully committing. Yield offers a few color options to customize your combo. 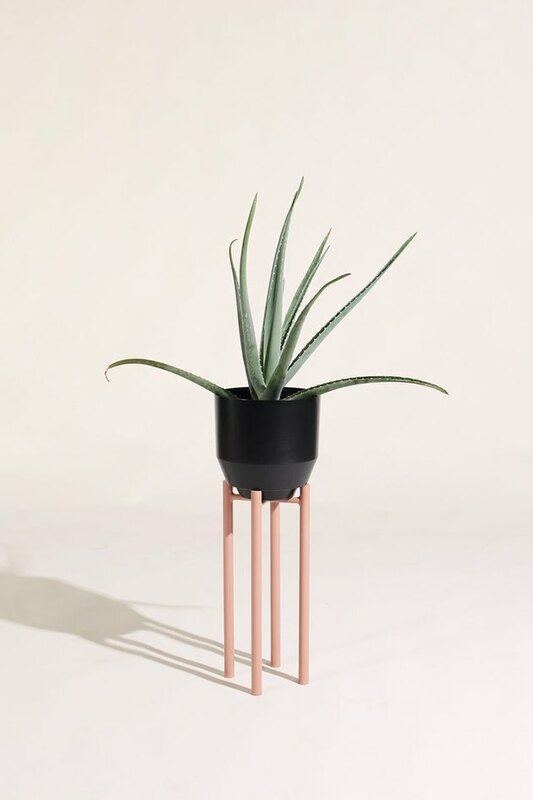 The stands come in peach, gray, and black; ceramic pots are also available in peach, gray, and black; metallic pot options include copper or aluminum. 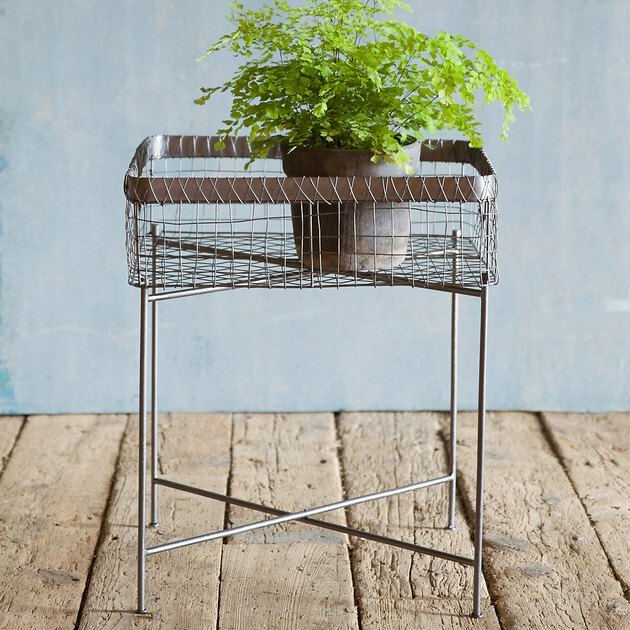 We love how this planter plays on the idea of a classic folding screen! 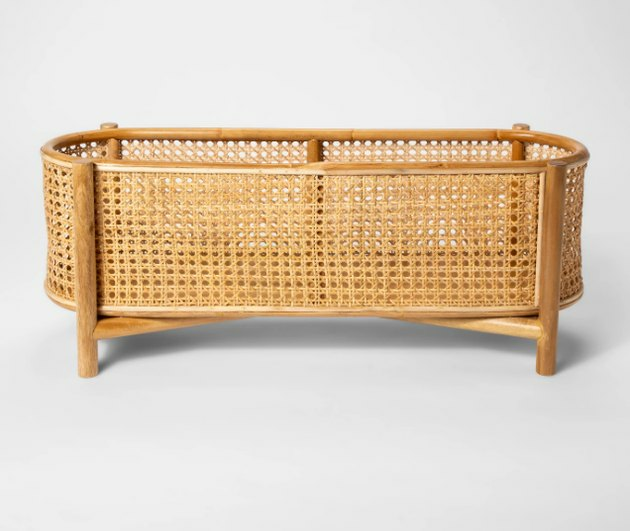 If you like the tri-fold idea, but want something less boho, try one of these West Elm options. 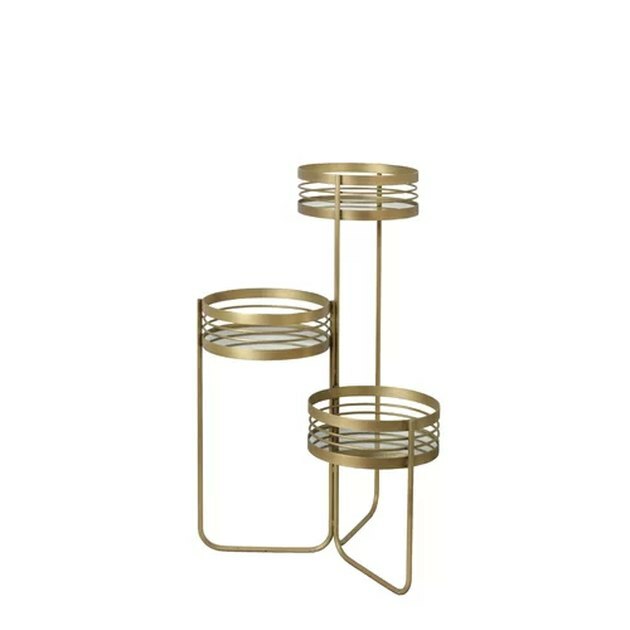 Bring some Scandi minimalism into your home with Danish design brand Menu's wire stands. 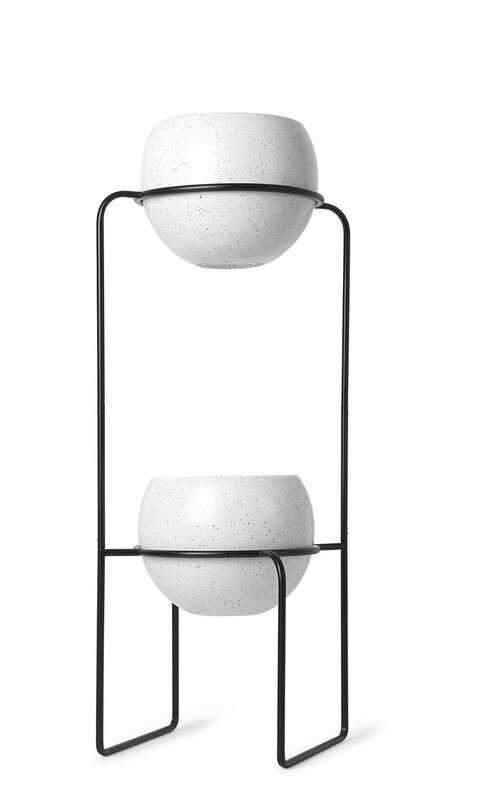 Love the flecked motif on these rounded pots. 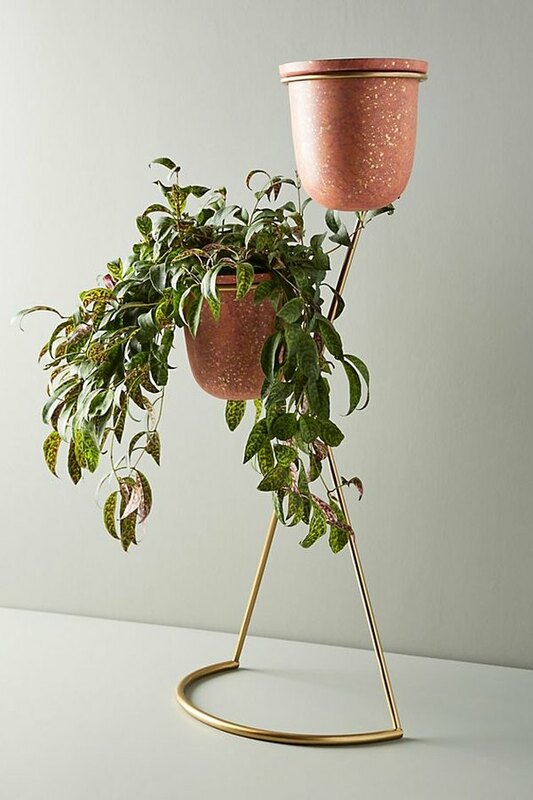 For something truly glam, try this bronze plant stand and fill it with luxurious blooms.